What if your phone suddenly slips into a bathtub? Maybe you'll end up losing all your important data, more specifically, your WhatsApp photos, videos, Voice Notes and Chat Data that flows through your chats. 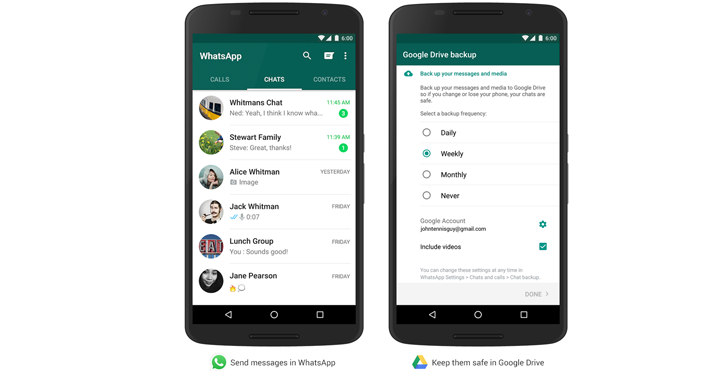 But, now you need not worry if your phone suddenly died or broke – Thanks to the new integration to your favorite messaging app WhatsApp with Google Drive. 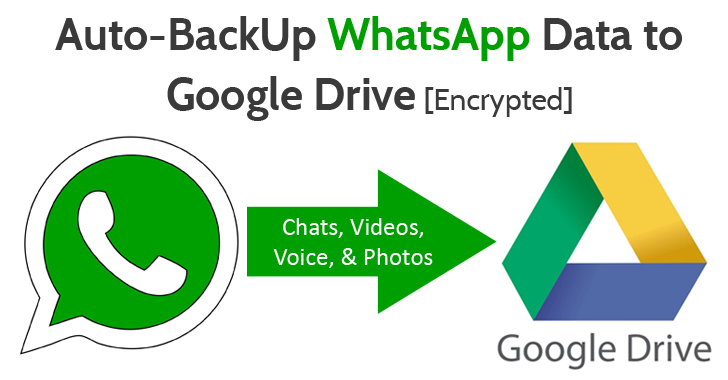 Google and Facebook announced a partnership that will bring Google Drive integration to WhatsApp for Android, allowing you to automatically backup all your chat messages and multimedia content regularly to the cloud. …to "keep your memory safe," Google says. Google says that Google Drive includes encryption, so everything stored in the cloud will be encrypted, preventing anyone to snoop into your conversations. "Google Drive offers them a native, seamless and safe way to back up their multimedia in the cloud, with added security thanks to encryption. ", says Brian Acton, Co-founder WhatsApp. The company also adds that the new backup feature allows users to restore their WhatsApp content if they move to a new mobile device. WhatsApp is the popular app on iOS as well, but the majority of its 900 Million users are on Android devices. So, Google Drive integration makes a good fit. WhatsApp will roll out latest 2.12.303 version of WhatsApp messaging app to its 900 Million users in the coming months from Google Play Store. But, You can also directly download latest WhatsApp 2.12.303 from its official website. And, just be sure to turn off automatic updates for a while before you upgrade to version 2.12.303.